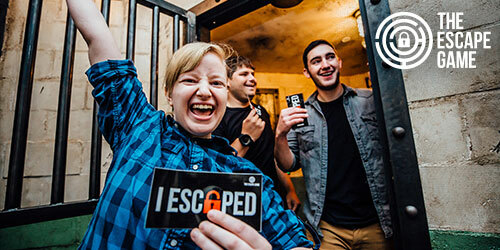 Located on The Island in Pigeon Forge, The Escape Game is the #1 Fun Attraction in Pigeon Forge. Come see if you can escape from a locked room in 60 minutes while finding hidden gold, stopping a terrorist attack, breaking out of prison, repairing your spaceship on Mars, and more! Get ready to step out of the real world and into the ultimate adventure! Use promo code EscapePF when booking to redeem. *Must book online to redeem. Not valid with other offers.